Sci-Enza is a great experience for young and old. I have fond memories of going on outings with Voortrekkers as well as school. It is one of the few out of many outings I can remember vividly from my childhood. Take in the Whole of Pretoria and surroundings with the Camera Obscura at the University of Pretoria. Allows you to view the whole of Pretoria in turn as you change the direction of the lenses and the view is projected in a darkened room. You’ll even be able to see birds and people scurrying around. They are open on weekdays 8:00 – 16:00 and only cost R20 per person. Roper St, Pretoria. 012 420 3767. 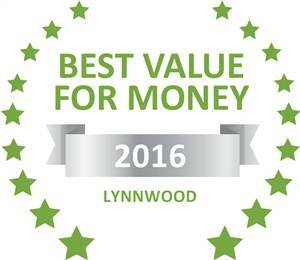 Based on reviews of establishments, Guest House Seidel has been voted Best Value for Money in Lynnwood for 2016. Guest House Seidel in Lynnwood has been voted a Best Value establishment for Pretoria accommodation. Based on reviews of establishments, Guest House Seidel has been voted Best Establishment in Lynnwood for 2016. 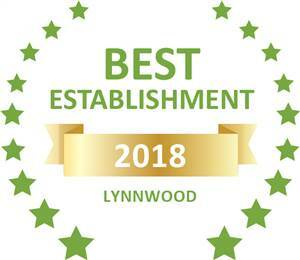 Based on reviews of establishments, Guest House Seidel has been voted Best Establishment in Lynnwood for 2018.